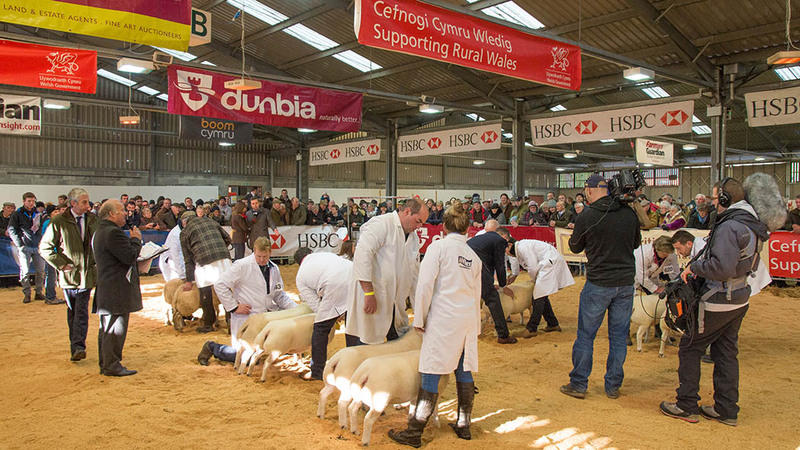 A highly anticipated event for much of Wales’ farming community, the Royal Welsh Winter Fair showcases some of the best primestock in the UK. More than 1,300 cattle, sheep, pigs and horses are set to be on show at the Royal Welsh Showground, Builth, on November 27-28. With the sheep and single lamb carcase classes receiving record entry numbers and more than £25,000 in prize money up for grabs, it looks to be another two days of fierce competition. The event will be officially opened by Oriel Jones, Llanybydder, on Monday morning, who is known for his meat processing operation which he sold to Dunbia in 2001, and will be assisted by his grandson Shaun Jones. Mr Jones has held positions including chairman of the Federation of Fresh Meat Wholesalers, chairman of Carmarthenshire District Council and a fellow of the Royal Agricultural Societies’ awards council. Also marking the end of a year’s work for the feature county of Carmarthenshire, it is the last event in the calendar for president Brian Jones, who will step down and make way for Tom Tudor, Montgomeryshire, at the council meeting on December 8. The winter fair offers visitors the chance to pick up Christmas gifts from the hundreds of trade stands and the food hall, which will once again be packed full of some of the best Welsh food produce. Entry will be free after 4pm on the Monday evening for Christmas shopping until 7pm, which will be followed by a firework display. Visit the Farmers Guardian team (stand 1EX261 in the livestock complex hall) for exclusive offers with exciting free gifts perfect for the Christmas season ahead. Existing members are invited to call by for a hot drink and a complimentary VIP goody bag.